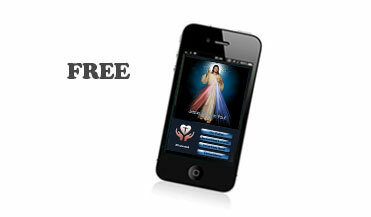 Download the Free Prayer App which will encourage you to pray at 3:00pm, the hour Jesus died. You will be reminded to pray at 3:00pm with an alarm, notification, or vibration while a beautiful image of Jesus' Divine Mercy is shown, plus there is a timer counting down the 30 secs and optional prayers. Your prayer will be counted and logged on your phone and on our web site along with everyone else who is praying at 3:00pm to encourage others to join our prayer group and flood Heaven with praise to God. You can pray anyway you want: talk to God, read prepared prayers (some included in the app)...however you feel the Holy Spirit is calling you to give praise to God at this holy hour is a beautiful sign of Love for God. Q: How can I have a close relationship with God? A: Pray - You won't know anyone if you don't spend time with them. God is no different. Check your notification settings on your phone to see that you will hear the alert from the app. If your app doesn't sound pleasant music as an alarm at 3:00pm then check your phones notification settings. Under notifications: set the 3 o'clock challenge as a priority, adjust the Media and Notifications volume to high (the music isn't very loud). The settings on the app itself can be accidentally changed too and if changed to vibrate only, and then you might miss the notification. Nonetheless, if your app. stops working make sure you didn't accidentally alter one of the settings. If you are still having problems, set a regular alarm on your phone. App might not work on older cell phones. Any alarm is better than no alarm because without a reminder, you will surely forget to pray.